Cotacachi and the area surrounding it are special shamanic places. 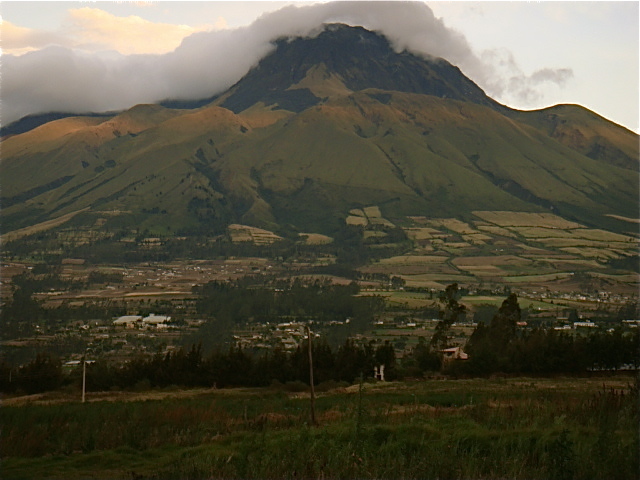 The province of Imbabura is known in Ecuador as the Sacred Province. 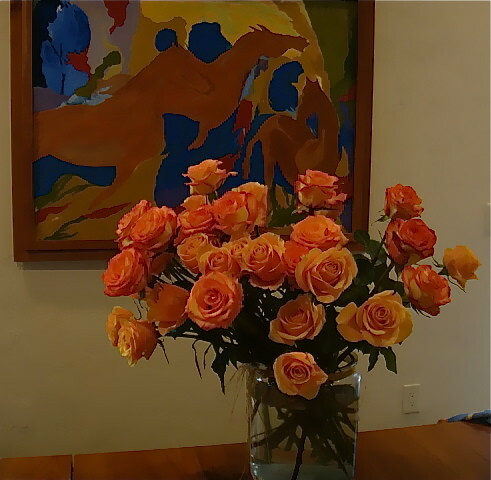 See how this affects Ecuador real estate values below. See two reasons below why houses like this one may have extra value because of ancient wisdom. To help understand the importance of why some areas have more value (energy, power), let’s look at the Cotacachi area in ancient sacred terms… as well as in modern times… a brief review of Latin American history is worthwhile. Eons ago, the indigenous cultures in South America had great wisdom when it came to astronomy, agriculture and sense of position. I have never heard a name given to this knowledge in the Americas but in China this knowledge is called Feng Shui and in India Vaastu Shastra. Wise people everywhere understood that the stars, the mountains, the sunrises and sunsets… the positions of water and much more had an impact on the energy of property and great sciences based on mathematics were formed. The traditional Indian science of Vaastu Shastra connected stars and architecture. Early Indian astronomical texts named “Vedānga Jyotiṣha” date back to around 1200 BC and were found abundantly reflected in the architectural and sculptural expressions of temples, forts, palaces, town and city layout of ancient India. In the 8th century BCE, the Baudhayana Sulba Sutra, contained examples of simple Pythagorean triples and a statement of the Pythagorean theorem for the sides of a square. The Satapatha Brahmana in 9 BCE contained rules for ritual geometric constructions. Ancients in many parts of the world knew a lot about how to value real estate… South America included! Then came the Spanish and their history in the territory we now call Latin America and their history linked with the Catholic Church thrust us into the modern age. The Spanish imposed a different religious philosophy on the area. When this began, the Inquisition in Spain had become a reign of terror. 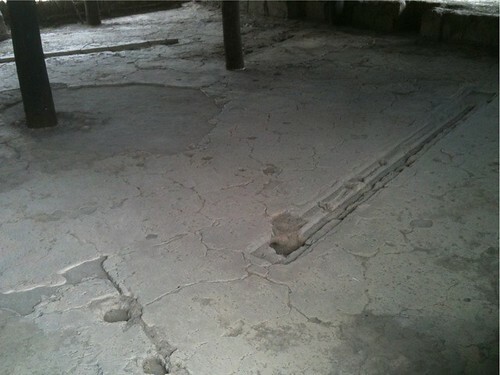 The impact in the New World was included in the razing of Aboriginal Temples. Indigenous religions were viewed as spawned from the devil. Out went all that old knowledge… officially at least. The Jesuits following St. Thomas More’s concepts of Utopia moved to remote parts of the New World to do their work undisturbed, protected from other Spaniards by a land grant and space. They created centers in small, provincial towns, providing banking facilities and forums for the resolution of local problems. They built roads which led spokewise from hubs to all parts of their territory and established postal centers complete with messengers, guards and a type of pony express. They spread into areas now called Paraguay, Peru, Ecuador, Colombia, Venezuela and Panama and began by pacifying the locals in numerous ways. They replaced human sacrifice with the idea of consumption of the body and blood of Christ. They replaced native ideas in art with Christian ideals, but the native style was retained. Native deities and ways were destroyed and replaced by Christian saints… but in a way that blended with local beliefs. For example in what is now Paraguay, the predominate Guarani community believed that the yerba-mate tea had magical powers since the yerba is a stimulant. The Jesuits could not persuade them that it was not magical so they created a myth that a Saint had given supernatural power to the tea and brewed it for converts. The indigenous used the pots and pans, needles, clothing and other western goods. The priest learned the local languages. Then they printed books in the local language printed from wooden fonts carved by the Indigenous. Prayers, hymns, theater were created in dialogues that the community could understand. The Jesuits were also great students of geography and the natural history of the areas in which they worked. They knew and used the climate, flora, fauna and the ethnography of the lands and took advantage of the indigenous experience in these areas. The church also built their Cathedrals on the sites of the old native worshiping grounds. Whether they did this because it was just easier to get the locals to church if it was located on a familiar spot… or because the church had learned that these ancient sites had been chosen with wisdom is the question. Perhaps the Spanish had come to understand how the indigenous communities had a great understanding of astronomy, agricultural and man’s relationship to the forces of nature and simply took advantage of this knowledge to construct their places of worship on special sites. 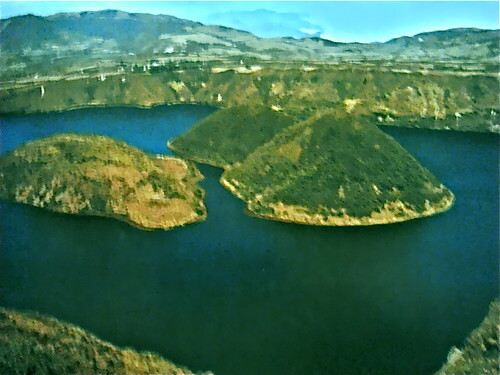 Cuicocha Lake near Cotacachi for example was always viewed as a sacred place where wise men conducted purification ceremonies.. 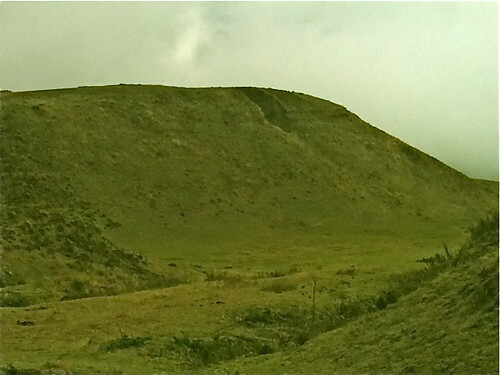 In another example there are the remains of ancient pyramids called Cochasqui near Cotacachi. Cochasqui means “Lake of the Stars” and contains solar and lunar calendars. This is the largest solar calendar in the Americas. The site is located at 0 degrees 0 minutes and 3 seconds of latitude so it virtually on the equator. Because of the relative physical stillness of the location, no centrifugal force or precessional movement, it must have been very easy to observe the stars clearly. The pyramids are at an altitude of over 9,000 ft. From here you can see the town of Cayambe. This is a photo of one of the larger pyramids. Midway between Cotacachi, Cochasqui and Cayambe is a spot where you can see all of the stars of the northern and southern hemispheres simultaneously. 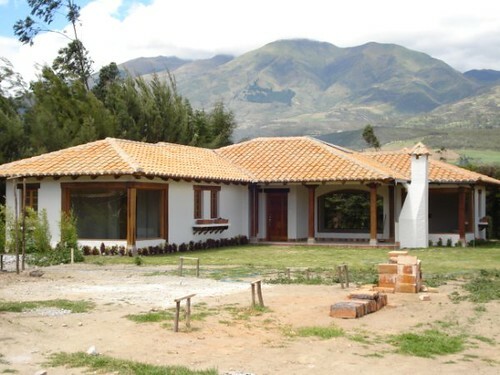 The area around Cotacachi is a very heavenly place and the indigenous treated it as such. Cotacachi Ecuador has always been a special village and this symbol at the village entrance from the Pan Am Highway represents nine important mid-points that the Indigenous saw that intersect in this small village. First, the four cardinal points East, West, North and South intersect with a fifth midpoint an altitude that is mid way between the sea and the highest mountains here. 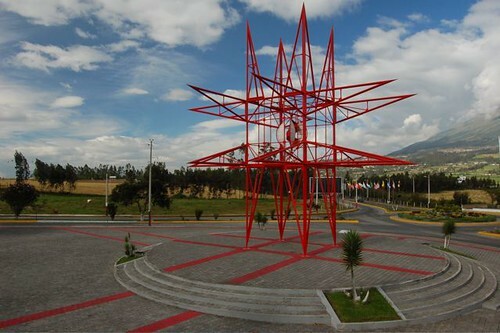 This intersection is further defined by a sixth point that comes from an alignment directly between Lake Cuicocha (20 minutes from us) and Lake Titicaca, the birthplace of the Incan nation. According to the legend, it is where Manco Capac and Mama Ocllo emerged from the sacred Lake Titicaca to found the Inca Empire, making this lake to lake alignment especially important as Cuicocha was named at that time Achicocha, which meant “Lake of the Gods.” This lake, like Titicaca was considered to be sacred, and used for purification rituals. To this day ritual baths take place there. Our Ecuador shamanic Mingas have purification ceremonies on Lake Cuicocha. The seventh alignment is that Cotacachi is in a direct line with Cuzco (Inca’s southern Capitol) – Quito (Inca’s Northern capital) and Yucatan which the Incans saw as the home of the original most important civilization. 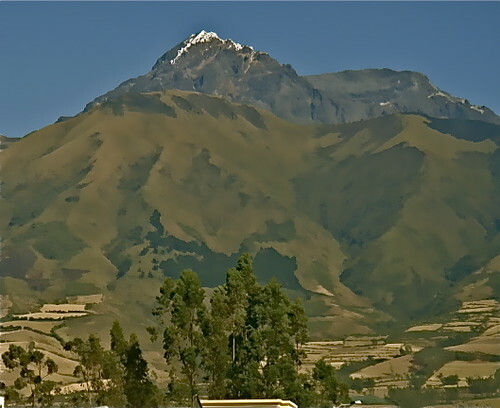 The eighth alignment is that Cotacachi lies between Father Mount Imbabura and Mother Mount Cotacachi. 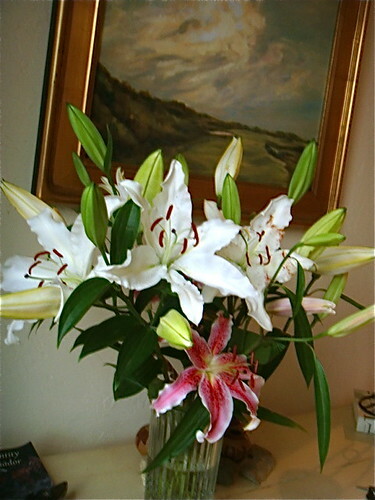 These two mountains represent the masculine and feminine energies of nature. 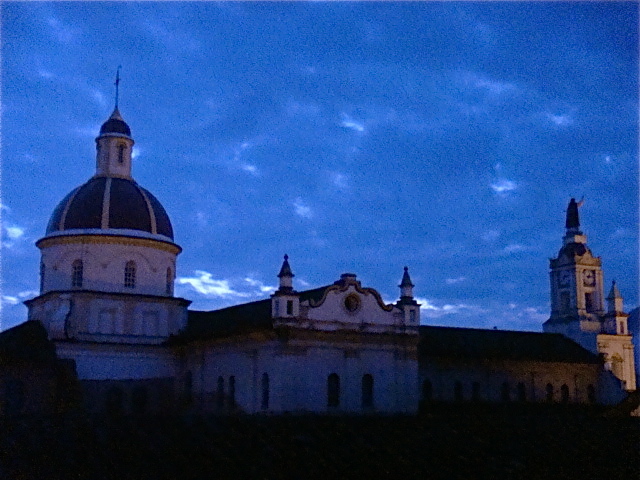 Thus when checking out real estate in Ecuador… we can take advantage of the ancient wisdom by checking out the Cathedrals! they have views like this. Mt. Cotacachi viewed from these houses. Mt. Imbabura viewed from these houses. These eight intersections are enlivened and unified by the universal being, the ninth most infinite creator. These nine energies represent a fractal reflection of man and his nine “Rios de Luce” (Rivers of Light) or nine major energy processing points. The points are respected in many disciplines, by many names being called chakras, acupuncture points, chi centers, etc. The Incan beliefs were that these nine intersections formed four axes that created the basic functions of the universe. What better place to take a deeper look at our existence! I suspect this is why the church built such a huge Cathedral in Cotacachi when it must have been a tiny village (the population now is only 6,000 or so). 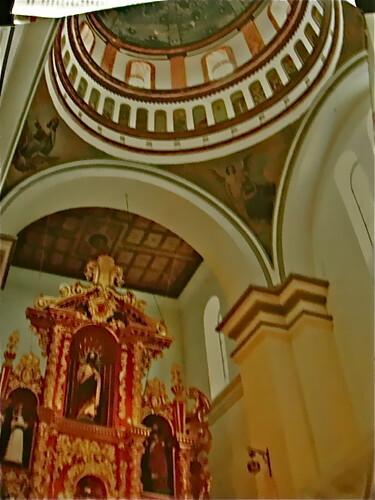 Cotacachi Cathedral dome and altar of gold. 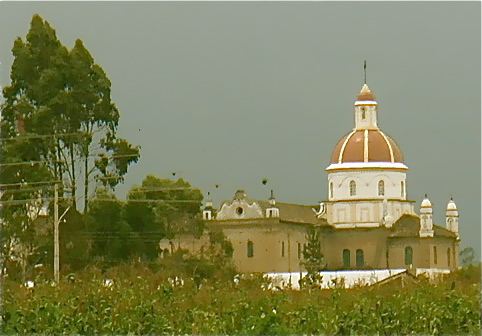 Cotacachi Cathedral seen from the houses above. 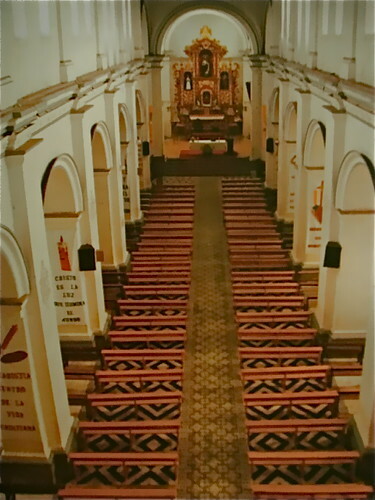 In fact, in the small village of Cotacachi there are two cathedrals. 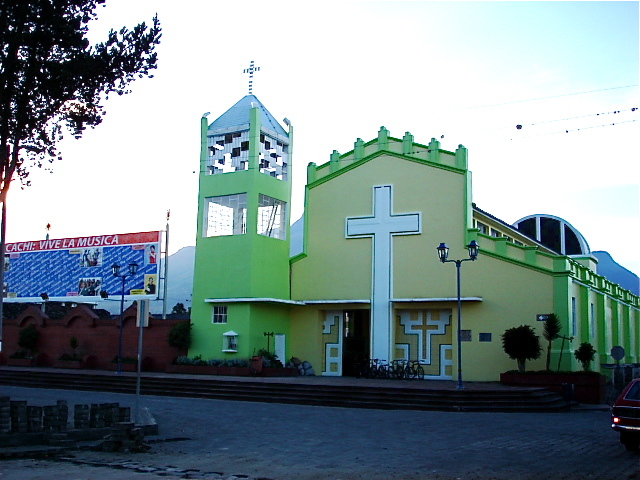 Here is the second Cotacachi cathedral. Here is the importance of this information. The ancients had it right! These locations of unique energy are good places to be. 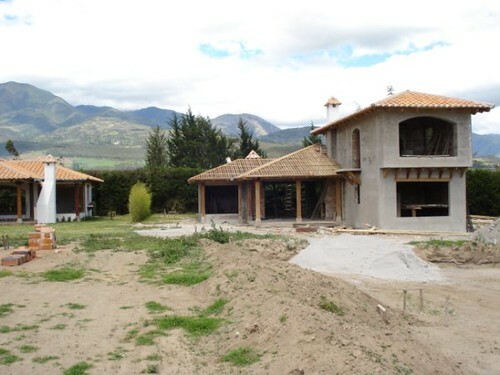 In spite of global economic turmoil, Cotacachi has prospered and knowing this can help you select real estate in areas that are more likely to succeed in the future. When you find property in a high energy site, even if you do not believe in these old sciences… many of the locals do and this alone can make a property worth more.